Our first stop in Germany was Hamburg. Since its inception it has been a vital seaport, and to this day still beats with the heart of a sailor. You can feel the toughness and grit of the place the moment you step out in the streets. There is nothing fancy about it. Hamburg is a “what you see is what you get” kind of place. The people of Hamburg are rough, hardworking and not necessarily the kind that take too well to joking around. Even though the Library of Congress disputes this fact, White Castle restaurants says it traces the hamburger’s origin back to this old shipping town. So, naturally we had to look for one as soon as we had locked away our things at the local backpackers’ hostel. We came across a place called Saints & Sinners and we each had three different variations of an exquisite burger. True or not, believing that the iconic sandwich was conceived here made it taste that much better. 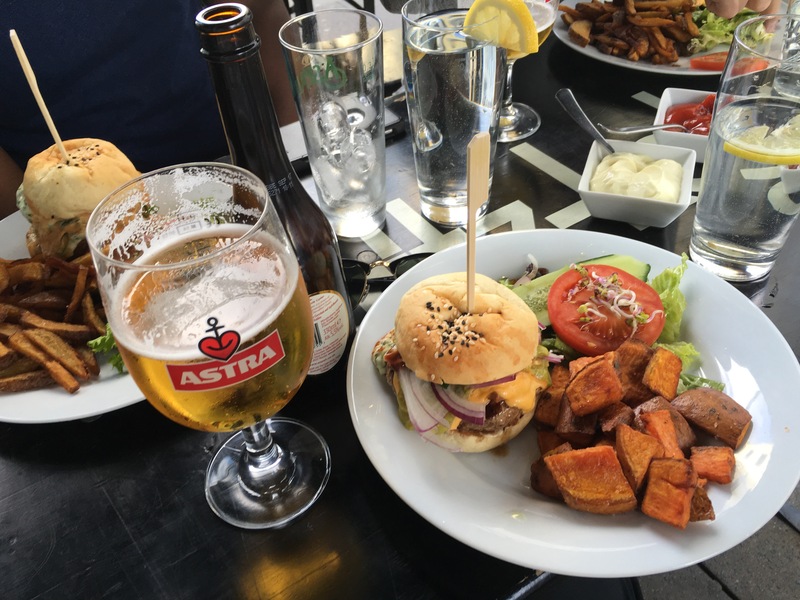 At the end of this meal we came to the shocking conclusion that many businesses in Germany do not except credit cards, and that cash is not only king, but in most cases your only option. Luckily my all-knowing mother had prepared me with ample Euros before I left. This was the first realization of the many stark cultural differences we would soon discover here. The only knowledge I had of Hamburg before arriving there was of the many shows the Beatles played there before the British Invasion. 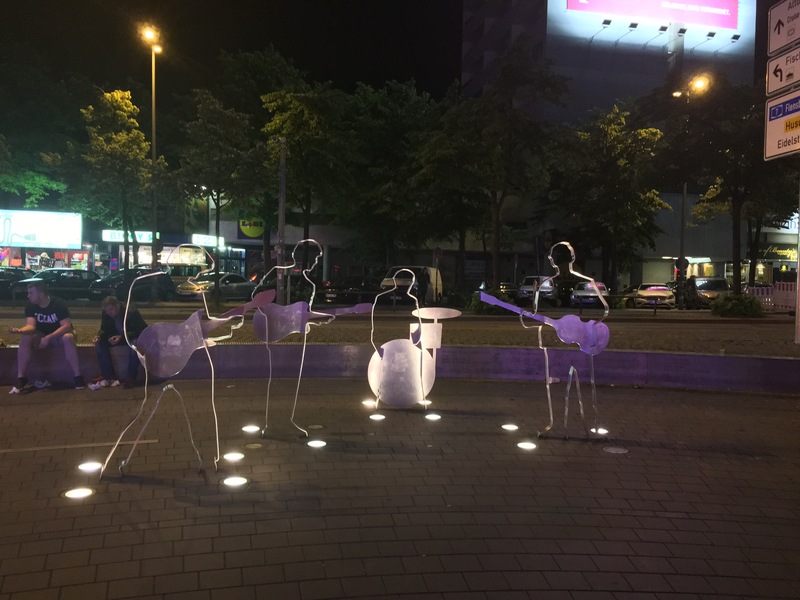 On Reeperbahn street, which is what seemed to be a Germanic version of Bourbon Street, are sleek hollowed out (silhouettes) of the Fab Four paying homage to the times they graced the town before they became bigger then Jesus in Germany. Hamburg, and what I would soon find out, Germany as a whole was the first place on my journey where I didn’t feel welcomed. This was a city build on blue collar work that takes great pride in their beloved nation’s past, present and future. That pride is more visible here than anywhere else I had visited in Europe. This was the first country that hung their flags out their windows. They even had German flags them waving off their cars just like we do back in the states to cheer on our local football team. Smiling locals were pretty hard to come by… until they started drinking. Once they were sauced up the people seemed to be jolly, loud and remove their hard outer shell. Yes, we all get similar effects after we have a few, but here it was much more visible that the weight of their world was lifted off of their shoulders the deeper they dove into their night. From Hamburg we traveled to Berlin a place which is a place I had read a lot about before but soon realized I knew very little about. 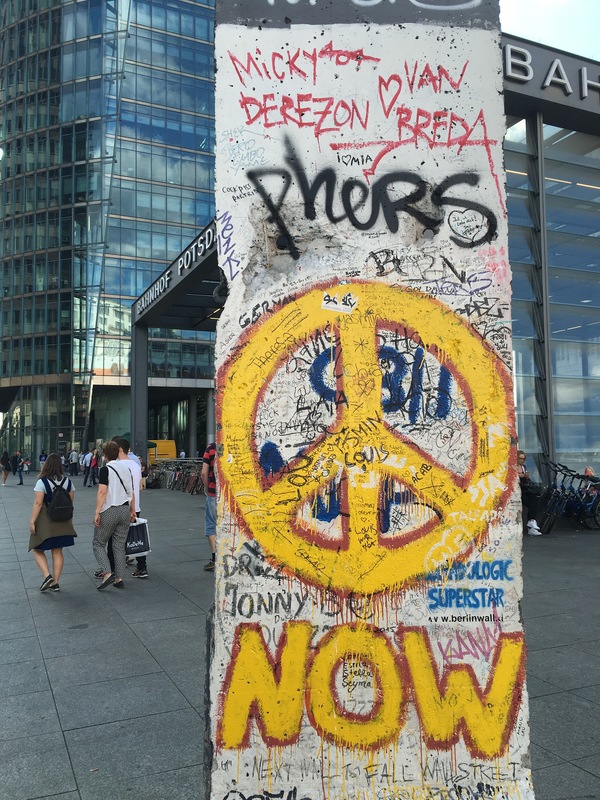 If you flip through the pages of a world history book you will notice a disproportionate amount of the chaos over the last century stems from a single location – Berlin. This city has found and lost itself many times in many different ways since its inspection and has treasures, triumph and scars unlike any other modern city. Berlin is now the thriving centerpiece to a country that is the economic overlord of Europe. Even with that the effects of its past transgressions are visible throughout the cityscape. When you are attentive to it you see how it shapes the lives of those who dwell there today. It’s a city where the people seem to have done their very best to forget about the horrors their nation once fueled and focus on the potential of Germany’s future. It is a city that for decades was separated by a wall that represented much more than just a border between nations, but a stark line drawn between two polarized views on life. Talking to some locals I learned that the ideological divide that the wall created is in some cases still seen today between those who are from the West and East making Berlin a city with a shared heart but split personalities. I figured there was no way better to truly experience this Germanic pride then fully amercing myself in what is a national celebration. So, I watched the German nation soccer team’s opening match of EuroCup 2016 on a massive screen lit up behind the Brandenburg Gate with over 10,000 of their most invigorated supporter. The emotions of the entire nation weighed on each roll of the ball. This national pride was something I have never really experienced so closely before. It felt much more like they were cheering for their country to prove its dominance as a whole rather than just on the soccer pitch. I’ve been lucky enough to have a been a several high stakes sport events, but never have I seen or felt the kind of intensity that was buzzing here. They roared when Germany scored, and collectively gasped when Ukraine had the faintest chance of scoring a goal. The man behind us grabbed us and yelled “If you’re not here to watch futbol, then you leave!” as my friend and I casually turned to each other to comment on a play. The intensity was embodied in the multitude of “Deutschland chants” throughout the match as Germans from all over the country ravenously participated in this nearly religious event. Germany stands out as a beacon of hope that shines through the uncertinty and turmoil which are indicative of modern life. They are a nation that is dedicated to not letting their past define them and one that is taking the lead in securing a stable and peaceful future for not just themselves but for the world. It is 6 am in Stockholm, and we had just touched down from Reykjavik, Iceland. Lugging our sleepless selves off the jet-bridge with our lives strapped to our backs we stumbled toward the airport exit. Our passports were ready in hand expecting to be greeted by the friendly face of Swedish or EU customs agent. There was no such encounter. It wasn’t that the individual wasn’t nice it was that there was no customs check at all. I was expecting one since this was our first stop in the EU. So, we freely strolled into Sweden. Delirious and a bit bewildered that there was no record in our passports that we had entered Sweden. 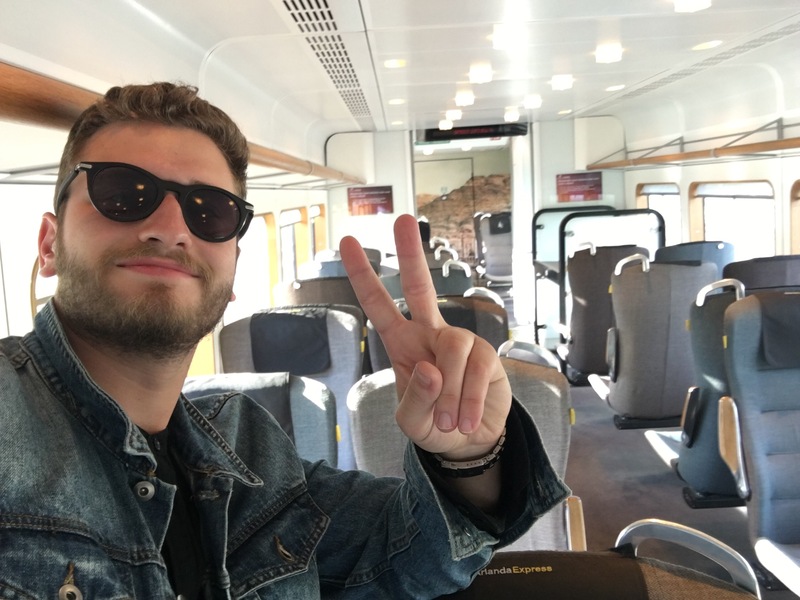 We hopped on a high-speed train heading for Stockholm Central Station. We were dropped off in the heart of what we would come to know as a pristine city. We had no place to go or any place to stay yet, so we did what any two sleep deprived American twenty somethings would do – we looked for a bar! Since it was 7 am on a Sunday, we couldn’t find one with its doors open. So instead we found ourselves laying down in a park back to back resting each of our heads on our backpacks on a beautiful Sunday morning. The city was sleeping, dead silent and entirely peaceful. The only noise one could hear was the faint hum of the few passing cars, the birds chirping and the wind wrestling with the surrounding trees. I realized in that moment that the real adventure had begun. I wasn’t exactly sure where we were. Okay, I had absolutely no clue where we were, but my level of contentment with very high. There was an owl hooting nearby, and it’s hooting was acting as the baseline to the songs that nature was blissfully reciting. The grass was the most spectacular of greens as if each blade was freshly painted. The air had a lovely chill like someone knew what temperature to set it at for our optimal comfort. There could not be a more picturesque little park to rest in. What we seemed to have stumbled upon was an oasis of serenity in the midst of a city that would soon be teeming with life. In Europe’s smallest large city Sundays are seen as an actual day of rest where nothing except a few coffee shops open their doors before 11. After our attempt at a nap we headed to the heart of Old Town Stockholm just to be greeted by a police escorted procession with hundreds of soldiers on horses surrounding what we came to find out was the Swedish Royal Family. I was under the impression that they heard I was in town even though no customs agent could have made them aware of that. I found out later that they were doing a practice run for the procession that would be occurring the following day which happened to be Swedish national day. The Swedish people don’t celebrate their national day anything like we do back in America much to our disappointment. We were told that is a day where most people “go out on boats, drink champagne and enjoy some fresh strawberries.” That statement gave pretty good idea of who these people are. 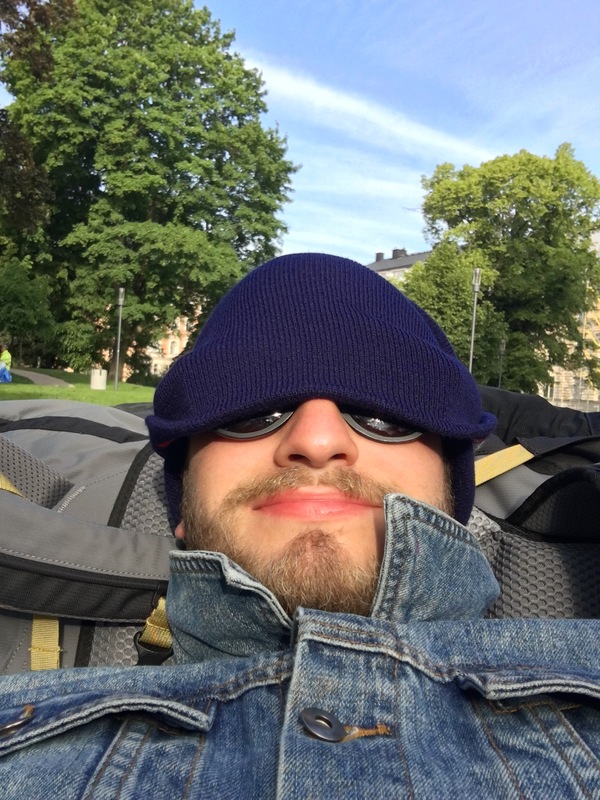 Stockholm is a pristine city. On our first day we walked 18 miles around the city. During all that walking I didn’t see one part of it that wasn’t either beautiful or clean or a stunning combination of both. I had never seen such a place like Stockholm. It is like a real world fairytale, something as close to a utopia that any place could ever be. The streets were lined with fantastic store fronts, shops and restaurants from all around the world. The main thoroughfare has classic, borderline pretentious restaurants sprinkled in-between some of the world’s most well-known brands like Chanel, Gucci, Prada, Louis Vuitton and TGI Fridays. Yes, I said TGI Fridays, which for some reason seems to be a decently cool place to go in this little wonderland. The citizens of Stockholm are all sweet, well put together, beautiful and educated. Every time you turn your head you see something that catches your eye. Whether it is a beautiful Scandinavian woman or a building cascaded with the history that its opulent architecture attempts to tell you about. Their culture is the highest I’ve ever seen and their nightlife is some of the most spectacular on the planet. This place almost feels like a different planet with its own logic. Everything about this place is wonderfully paradoxical from the frozen warmth to colorful darkness to her midnight suns. Founded by a pretty unhappy, violent bunch, the Vikings, around the year 871. It has been sustained by some of the happiest, most peaceful people alive today. The actual term Viking means to go to a place and take what is not yours which is something the Icelandic people take great pride in. Again, this is entirely in contrast to the morals and schools of thought that drive the nation today. Iceland is currently one of the most liberal democratic welfare states in the world. Around 350,00 people call this tiny frozen wonder island home, and this year alone they are opening their arms to a record high 1.7 million tourists. 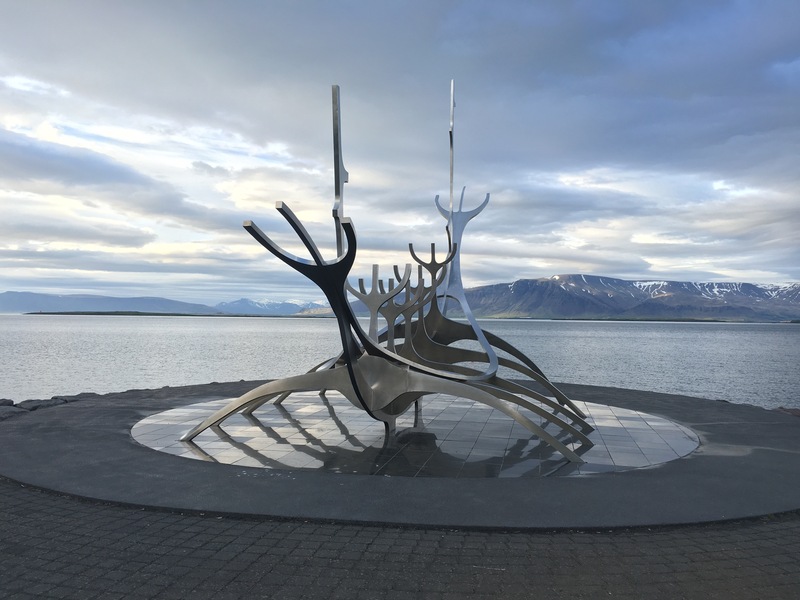 Iceland’s capital, largest and only actual city sits on the 46th parallel making Reykjavik the northern most capital in the world. We landed at 4:30 in the morning with our western-facing window blinds open, allowing the sun that perpetually shines this time of year to warm our faces. The airport gave me a good idea of what the rest of the country would operate like. It was simple, clean and the people were openly trusting. There is no national army here. Police do not carry guns, and government buildings are all open to the public with no security. There was one recorded death by the department a few years back in which they had a stand-off for 7 hours with a suicidal man wielding a shotgun in town. Police consistently attempted to ask him to place it on the ground with no success. The department finally had to call in their SWOT team, who are the only ones who do have weapons, to shoot the man down. The next day the Icelandic citizens peacefully protested this murder leading to the police department releasing an official apology the next day saying they could have done more and they are deeply sorry. I can only imagine how different both parties’ actions would have been if this incident would have occurred stateside. Christmas is a huge deal here where for decades the 13 Icelandic Santas individually drop treats or potatoes in the shoes of children if they leave one on their window sill. These Santas come one day at a time starting on the first of December till January 6th. Each one of these gifting elves has a name like Pot Scrapper, Window Peeper or Sausage Stealer. That is until Coke-a-Cola got here. They changed the way Santa was seen and introduced the jolly red suited man I grew up accustom to. This tiny island in the middle of the northern Atlantic Ocean is home to more natural resources than most countries could ever imagine. The whole island sits atop geothermal pools which fuel one of the nation’s largest pastimes: hot tubbing. These pools also allow the entire nation to be run on all renewable energy sources. The world’s largest glacier finds a home here as a neighbor to multiple volcanos and the geyser that gives all geysers their names. Iceland is made entirely of volcanic rock and sits upon the boundary of the North American and Eurasian continental tectonic plates. The countryside is sprawling and takes your breath away acting as a natural embodiment of the local’s peaceful demeanor. The citizens here are some of the most educated in the world and have a deep knowledge of their beloved nation’s history and a passion for preserving its natural and ideological beauty. Iceland has had one Nobel prize winner in its history, but that still gives them more Nobel prize winners per capita than any other country in the world. Similar to most countries the main problems they struggle with are the urbanization of its city leading to gentrification and inflation, a growing wealth gap, particular citizens straining their government sponsored social systems and that same government being corrupted by larger corporations. Iceland is a place where some of the world’s most wonderful, beautiful and proud people call home. The sun shines for 24 hours straight in the summer allowing for the nightlife to thrive deep into the wee hours of the morning with no lull. Sitting outside a coffee shop in the town square enjoying a perfectly crafted cappuccino I notice that everyone here seems to enjoy life and live in the moment in a way that is uniquely Icelandic. A tour guide told me that Icelanders rarely think more than three years ahead, which is in part, the reason for the drastic volatility of their economy. This also gives them the ability to intentionally live in the present. It seems like every conversation with a local leads to a contradiction whether in their personal belief or a fact. What’s interesting is that in no way do you ever feel like you are being coerced because each person is genuine, and what they say they really believe. 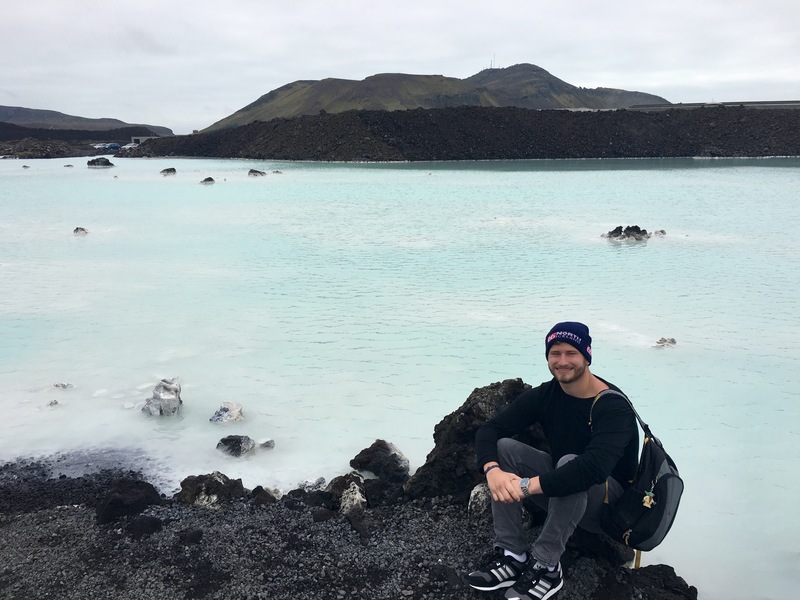 Iceland is by far one of the most interesting, beautiful and wonderful places I have ever experienced. I would encourage anyone to make the voyage here at least once. That said, the locals wouldn’t mind if you didn’t out of a fear that is rampant that the new 6 million annual tourist cap will quickly erode one of the world’s best kept secrets. Advertising is not a profession. Advertising is a sport. It is a constant competition between the globe’s most creative minds. It is a business where collaboration summons ideas that change how people view everything that makes up their world. Life is 100% about perspective and what advertising does is give people different lenses to view it through. Advertisers must grasp onto a genuine understanding of how all facets of our world work. Each of us is continuously learning about our evolving world in search of truths about humanity. Like all sports there are winners and losers in advertising too. In this game the winners get more work and the losers use that feeling in the pit of their stomachs to light a fire beneath them to earn more work. At the end of the day the satisfaction of creating something wonderful from a simple idea is what fuels each of us to push the boundaries of what is believed to be possible. This occupation requires each who joins it to keep two fingers of the pulse of the latest trends all in an attempt to create their own. It is not like many other jobs; in the ad world you work with fascinating people in an ecosystem that is pristine for the incubation of creativity. Risk takers are rewarded and failures are celebrated because if you aren’t ever failing then you aren’t ever thinking big enough. Advertising is not a profession. Advertising is an art. 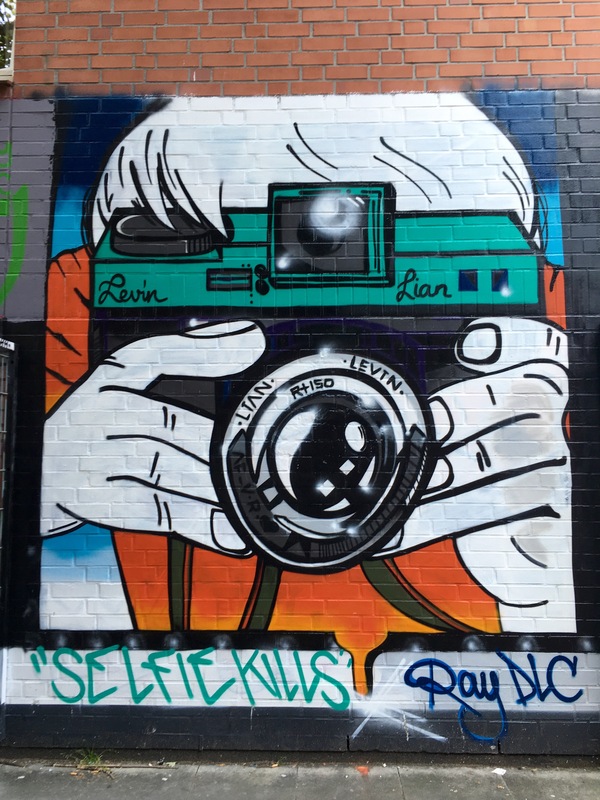 It is not just about selling a bottle of Coke or redesigning a company logo. What advertising is about is balance. Balancing innovative thinking with real world business objectives in order to shape the cultural landscape that the globe takes for granted. Advertising makes the world as we know it go-round and being a part of the machine that keeps it moving is one of the most rewarding professions anybody could dream of. Damn it… advertising is totally a profession. I’ve never been a great sleeper but on this night my mind has gone wild. It’s racing like a wild mustang in an open pasture with no intent on stopping and no idea of where it is going. The fact that I have 5 weeks left of college hit me like a ton of bricks around 1:25 in the morning, and now I lay in my bed wide awake doing something I hadn’t done in quite some time…reminiscing. I’m a 22-year old college student who lives his life a moment at a time but what I just realized is that sometimes we need to step back just to admire all the amazing moments we have lived. The more I think about it the more bewildered I get. Although I have planned for my next step for quite some time, I find the uncertainty of my future exhilarating. Wherever this wave takes me is where I am meant to be, BUT there are moments when I freak out. Moments like now. For instance, when I realize that in two months I will get to realize one of my lifelong dreams of seeing more of the world. Parts of the globe that people dream of I will get to bask in. Even though I get to travel and be free it’s hard to get over the fact that I’ve built a dream world here in the Heartland. It’s not just over these past four years in Norman, OK but how every experience in my life has led me to this moment. We all say everything happens for a reason, but I wonder how many of us really believe that’s the case. I never want to miss an opportunity for any adventure. I’m not afraid of not finding a place to live or a way to provide for myself. I’m not afraid of anything the future holds. What I am deathly afraid of is losing touch with the people that have woven themselves into the fabric of my life. Missing these souls might be the hardest and most daunting part of this next phase of life. These are the people who helped craft me into whoever I am today. Regardless of my fears we all have to carry on with our lives. Time and fate both have undefeated records. That being said, if I am intentional with my actions, I can carry those cherished relationships into my next, unwritten chapter of my life. If I care about a thing or a person, I tend to form a strong attachment extremely easily. It’s a blessing and a curse that makes each moment sweeter but letting go that much harder. I choose to take the good with the bad and roll with any punches life throws at me. So in a way this is a mandate for my future self to always stay in touch with those I admire, like and love because no matter where I end up those relationships are what makes life worth living.